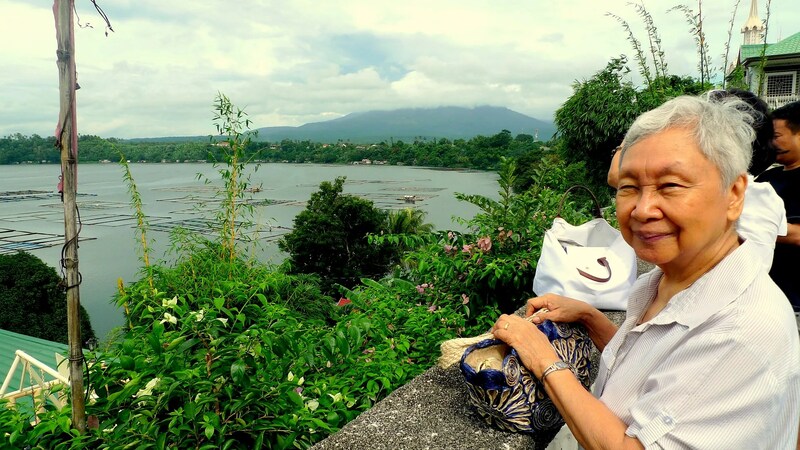 There was more to the Seven Lakes of San Pablo City than met the eye. Who would think that this city of bustling commerce and idyllic inns sat on a volcanic field? The Philippines had been called the Pearl of the Orient, but this Pearl adorned the Ring of Fire. Much of its picturesque topography had been molded by volcanic activity. It was easy to forget that fact, especially in this part of Laguna. After all, it had been more than 700 years since the last eruption of the San Pablo Volcanic Field. Its craters, also known as maars, had since filled with water and were now disguised as placid lakes. I had only gotten wind of these crater lakes when my mom read an article about them in the papers a few months before. For me, the province of Laguna was known only for Laguna de Bay, the largest in the country and not one of the seven lakes. Mom’s discovery was the perfect excuse for the entire family to go on a road trip. But considering how late in the day we set off, we abandoned visiting all seven lakes at the get-go. 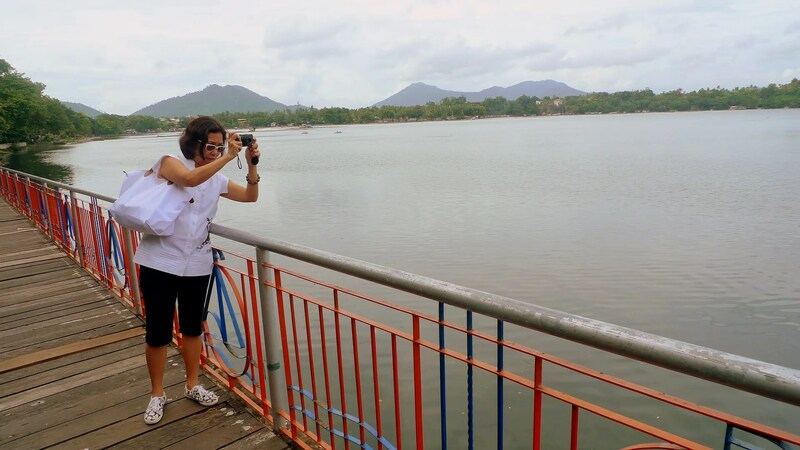 Alas, we only got to see one, the largest and youngest – Sampaloc Lake. 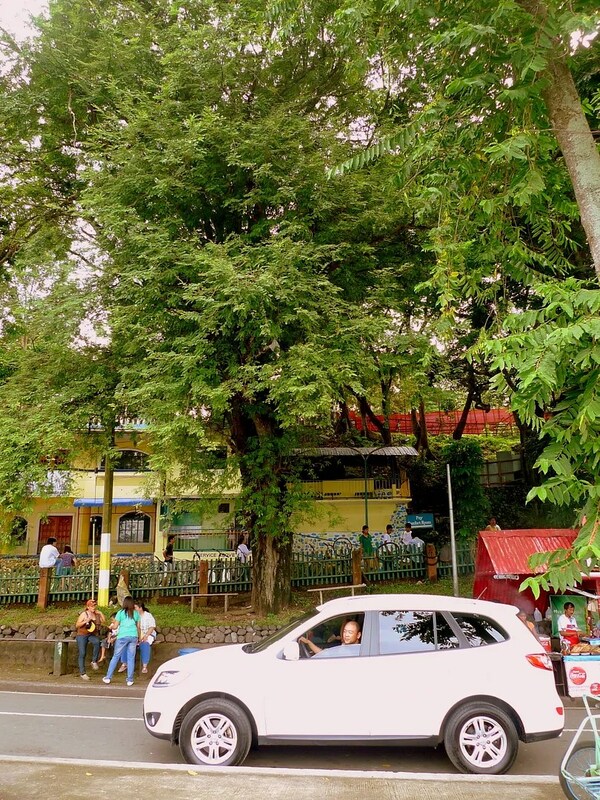 Legend had it that the lake was formerly an orchard, presumably of tamarind trees (sampaloc in Tagalog), owned by a woman whose selfishness denied an old man’s request for some fruit. The old man cursed the land, causing its collapse and subsequent inundation. The tale must have been the way ancient people made sense of seeing the formation of the lake some 700 years ago. Life went on in another form: Tamarind gave way to tilapia, a freshwater fish that abounded in the lake. 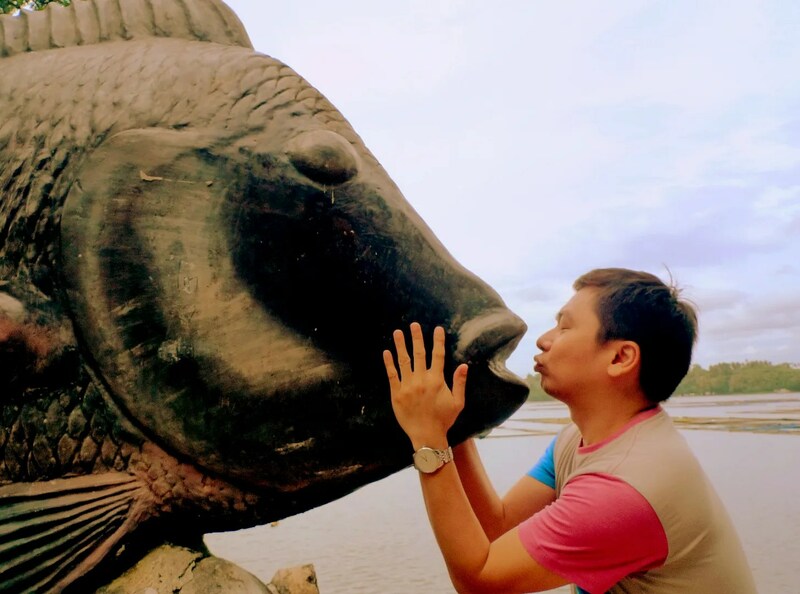 A tilapia monument was erected in 2005 to commemorate half a century of tilapia culture in Sampaloc Lake. 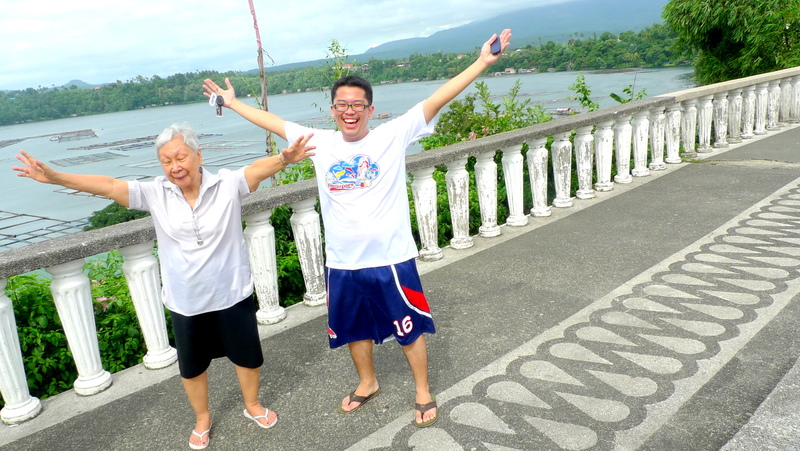 Yesterday, after years of absence, I visited Sampaloc Lake. I sat on a step of its ancient stairs, And, I wept. Its legend is dead. Buried in memories of old men and old women. Its once clear water, rich in myth, afraid, to peek from under water lilies. Its once green banks, lush with bushes and bamboo and other God-grown foliage, defiled by sleazy bars and hovels and huts. Where are the crickets? Where are the fireflies? Long, I sat and wept. Water that had collected in the crater turning it into a lake attracted bad elements. The lake had been choked for decades by the unbridled construction of fish pens and effluent pollution by informal settlers and commercial establishments that lived off its waters. Selfishness had once again doomed the area to destruction. Concerned citizens of the city, however, stepped up to protect the lakes and restore their natural beauty. We still saw a few pieces of plastic trash floating on the water; square patterns of fish pens still made the lake surface look stitched up. It was reassuring, though, that rehabilitation was underway. Maars were formed by steam-powered eruption upon contact of red-hot lava and groundwater. The Seven Lakes of San Pablo, all interconnected underground, were created in such a way in this volcanic field, now listed by PHIVOLCS (Philippine Institute of Volcanology and Seismology) as inactive. Today, the integrity of the lakes could be preserved by the passion for environmental protection and an appreciation of their cool and calm waters. I hoped the efforts to save the lakes would not run out of steam. Though I am not a travel-person, this one is a very good place! The scenery is nice, serene and can make you really proud. It’s nice to learn the legends of certain places and in this case, the Sampaloc Lake. I hope that the rehabilitation of this lake would be successful. Bigla naman ako nainggit. Going to all the seven lakes of San Pablo really feels like a quest. Hindi ako nakasama sa bagets last time tsk . A lot of places like these abound in the Philippines, waiting to be discovered. It’s good there are people like you who share valuable info about them so they get the recognition they deserve. Kudos to you on that one! Yeah, not many Pinoys in Manila know a lot about Laguna or any nearby province for that matter. Even I, who was into maps when I was a kid, never came across any of the 7 lakes. Places like this should really be protected as they are Philippines’ pride! Hahaha, laging wacky ang pose namin. Wow I havent been to San Pablo and I know nothing about it. With your article it made me more curious to go there! WAIT. May ara na lake sa San Pablo? Matahum gid ang view ah! Indi lang isa ah. Pito guid! Ay sus, Ilonggo ka man gali Renz? Very nice scenery. That is one huge Tilapaia, I must say. I want to travel there on two wheels. It must be a fantastic experience. Wow, it seems that the 7 lakes are the best-kept secret of San Pablo! For someone who lives in the vicinity not to be aware of their existence is something. I should find a way to see this as this is not very far. 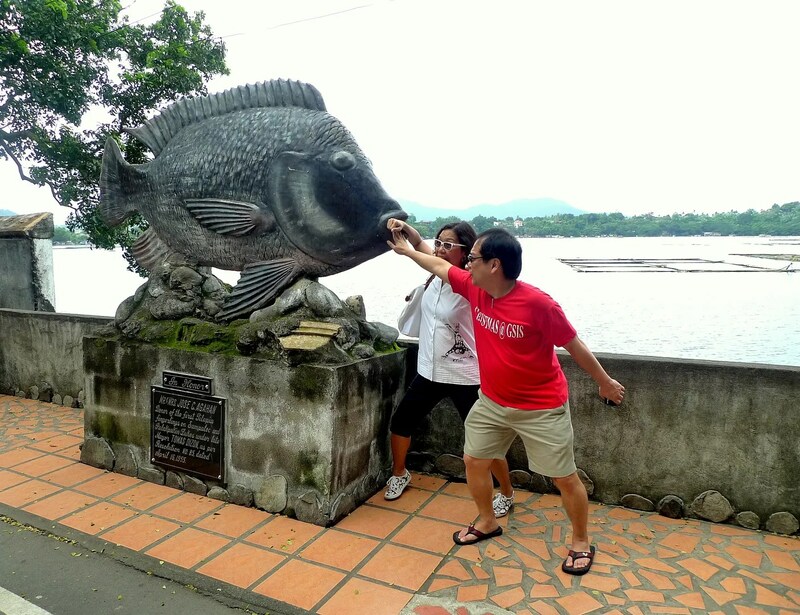 NICE shot on the tilapia monument. with loved ones and places bring unforgettable memories. Wow, welcome to the Philippines, Thomas! Mabuhay! How long are you staying? I hope we could meet. If it’s not too much trouble, please email me your contact details at thetranscendentaltourist@gmail.com. hehe.. i would love to see that tilapia monument. I hope the people will continue to preserve the place. ps: ngaun ko lng nalaman na maars tawag dun. lol Thanks! The 7 lakes have been covered by other blogs (wish ko lang pioneer ang blog ko! ), but maybe most don’t mention their volcanic origin. I grew up in this place and always keeps on coming back here whenever I can. 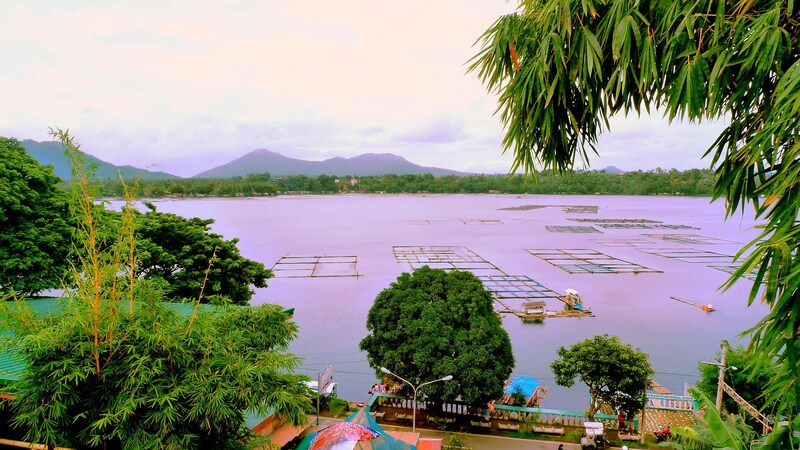 Sampaloc Lake brings back childhood memories. I used to lived on the other side, overlooking where you took this photos. But actually I myself had seen 2 of the 7 lakes. Wow, you lived on a volcanic crater! But 2 out of 7 for a San Pablo resident seems surprising. You should explore your hometown more. Would like to see Pandin Lake next. They say it’s the most scenic one. I just recently discovered the 7 lakes myself, though they need to upgrade the lunch at Lake Pandin. We had breakfast there at Cafe Lago near Sampaloc Lake, sarap ng suman nila. Naku, we wanted to see Lake Pandin, but I don’t think Mom would like the hiking. 😀 We had lunch naman at Sulyap. Food was yummy, but they should upgrade their service. More about that in another post. Wow, galing. di ko magamit-gamit ang word na ‘lamentation’ hahaha. ngayon ko lang nagets yun. haha. Thanks for reposting this Kuya. Nice to know that you have been going around the country too. 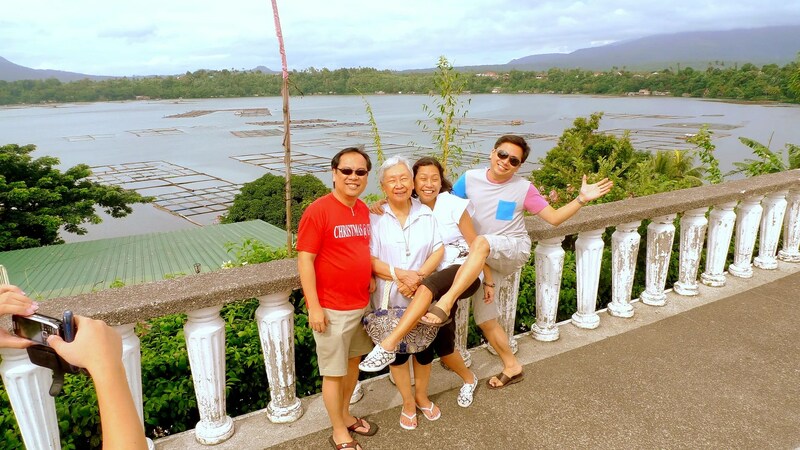 Since you were at Laguna, have you gone to the man-made lake Caliraya? Hi Lil sis! Yup, been there as a kid in the 80s. I remember they still had some props from Apocalypse Now, the Marlon Brando move shot there. Yeah, nice rustic place at that time. Will be going back there this year for our company outing, so I’d see how much it has changed.